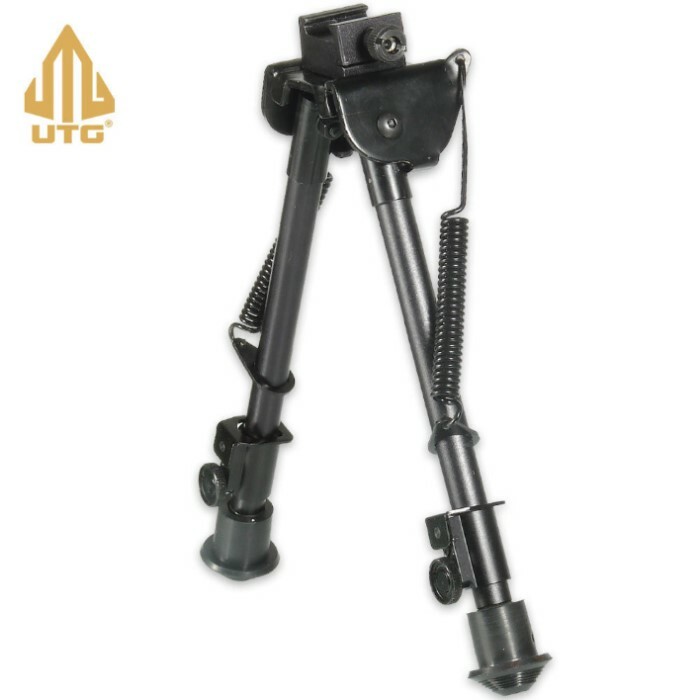 UTG Tactical OP Bipod Sniper | BUDK.com - Knives & Swords At The Lowest Prices! The UTG Tactical OP Bipod is a handy, accuracy-enhancing accessory for your rifle. 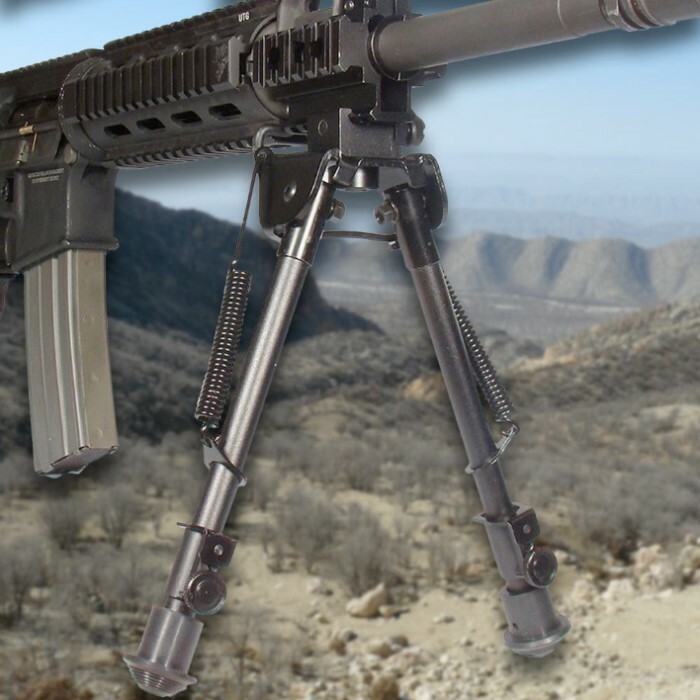 Durable aluminum construction and a steel top platform hold up to years of heavy use, while a clever dual mounting design includes both Picatinny and swivel stud mounts.